DSTL (The Defence Science and Technology Laboratory) is an exectutive agency of the MOD and runs along commercial lines. Its purpose is to maximise the impact of science and technology for the defence and security of the UK. We helped refresh their brand and create strong and bold branding, brand identity and visual language for their internal communications, marketing communications and literature design. 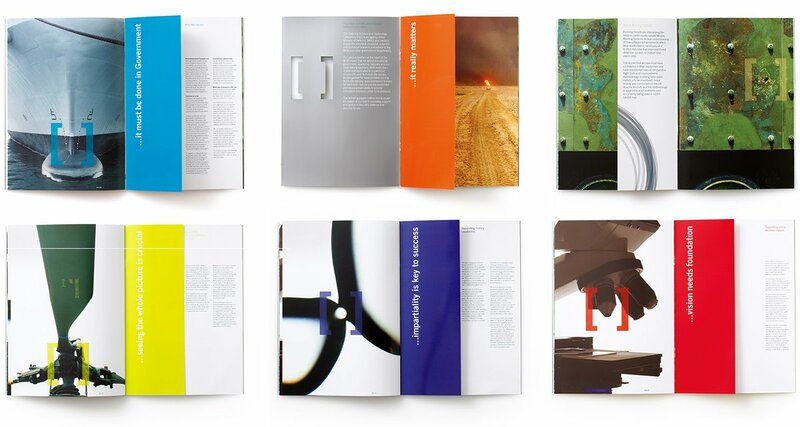 The new literature styling allows for plenty of flexibility for Dstl to reach its many audiences, including the increasingly important business community and overseas clients, and government organisations. We developed a structured approach to communications, both printed and online, with a 3-tiered approach to the comms hierarchy. This ensured that messages are conveyed consistently and cost-effectively. As a result, Dstl now produces less material. Messaging and use of language are an important aspect of any brand. 'Distillation' of content and imagery appeals to all stakeholder audiences across internal comms and marketing communications. 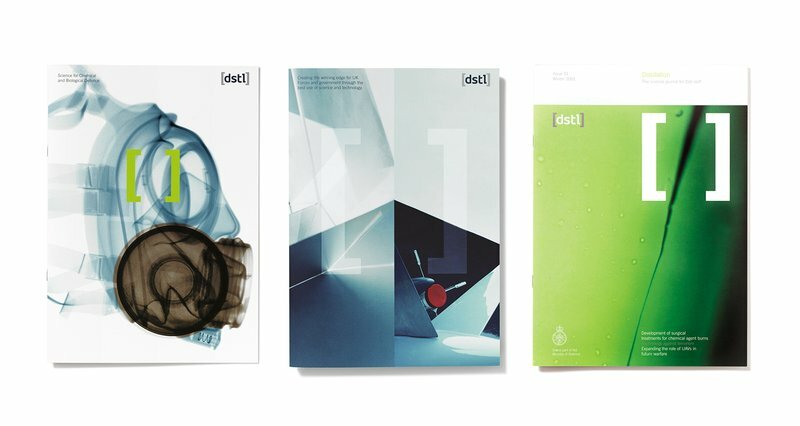 We have helped Dstl achieve 4 key objectives: forge a single organisation from many parts, position itself as a modern forward-thinking commercial agency, express its focus and build awareness, and create energy and focus internally. Dstl is home to some of the UK’s most able scientists and engineers. Their focus and strength is conveyed using the bracket device and distinctive photography, which uses focus and highlights structure. Dstl phonetically reads ‘distil’ and this message appealed to scientists and academics alike, and became the title of the staff magazine and mantra to all communications. Bold branding helped build strong brand awareness across the world and the new positioning was supported by a structured marketing communications strategy.